All photos by Glenn Dawson. 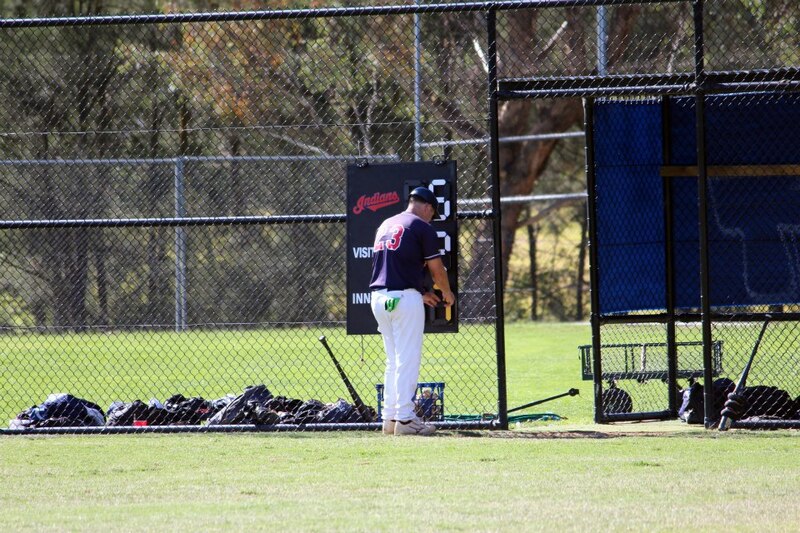 Welcome to Scoreboard Pressure’s first baseball photos, courtesy of Glenn Dawson. 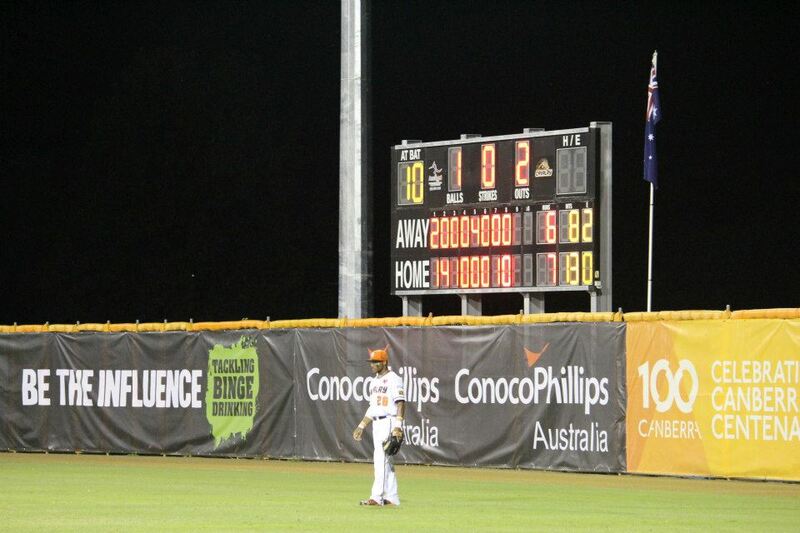 The photo above was taken at Narrabundah Ballpark and is from a game between Canberra Cavalry and Perth Heat. Note Glenn’s sharp-shooting in catching the outfielder with antennae (or horns?) sprouting from his cap. Glenn’s Facebook page features many more local baseball photos. He is hoping to to visit Viking Park, Aranda Playing Fields, Ainslie and Curtin to complete his collection of ACT ballparks. 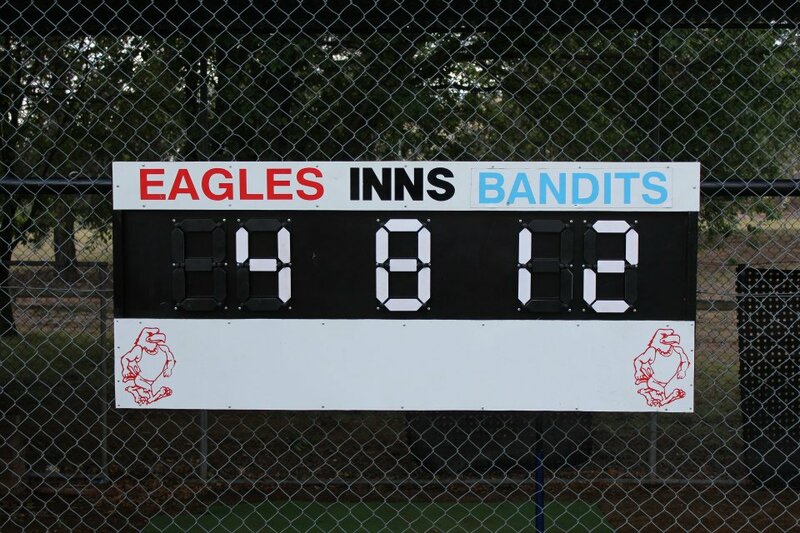 Glenn’s first contribution to Scoreboard Pressure featured a game of Twenty/20 cricket in Maifeld, Germany.